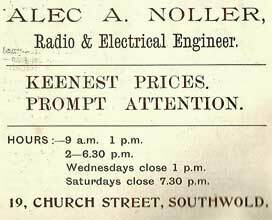 Alec A Noller - Radio and Electrical Engineer (K1933). Note: Although Kelly's Directory records him as still at 19a at this date. 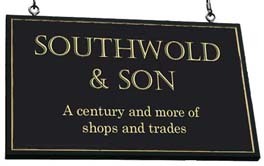 His own advertisement in Southwold Magazine gives his address as No 1 & 3 Church Street. Kelly's confirms that he is at No 1 - 3 in 1937. Gales - Closes this year.